The few cabbages that were lucky enough to survive the greenhouse slugs and Garden Girl knocking them over are facing new terrors outdoors. They have been pecked to pieces by wood pigeons, chewed to little more than stems by caterpillars and today the wind has been battering them almost to breaking point. Garden Girl will be making a scarecrow next week to keep the birds away, but I haven't come up with a solution for the caterpillars. Garden Dad believes the wood pigeons were trying to eat the caterpillars; just a little over zealously, so keeping the birds away might encourage the caterpillars even more. If anyone has any good ideas we would be very grateful to hear them. In the face of all this hardship I will be very pleased to have even just one surviving cabbage to harvest. If just one can make it to harvest time, I believe it will be the tastiest cabbage ever. And Garden Girl's toe was feeling much better today. Apparently the blood hurts sometimes, but not enough to stop her walking, running, jumping and trying on my high heels. So back to normal I think. Oh sorry to hear of the cabbage disasters. The pigeons aren't after the caterpillars but after the succulent cabbage foliage, they love it and so do the caterpillars. You can solve both problems with netting preferably 1/4 inch holes or less to ensure the white cabbage butterflies can't get through to lay eggs on the leaves. The netting also has to be held high enough over the plants to stop said pigeons from basically sitting on the net and pecking through it. Glad to hear garden girl's toe is much better. As Kella has said, you need netting. My brassicas will be planted at the allotment shortly, but I'm ensuring that I have a netted frame in place first. 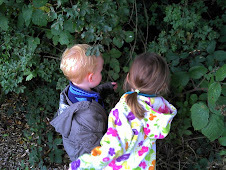 It's the Cabbage White Butterflies which lay their eggs on the leaves and the catterpillars then eat them.